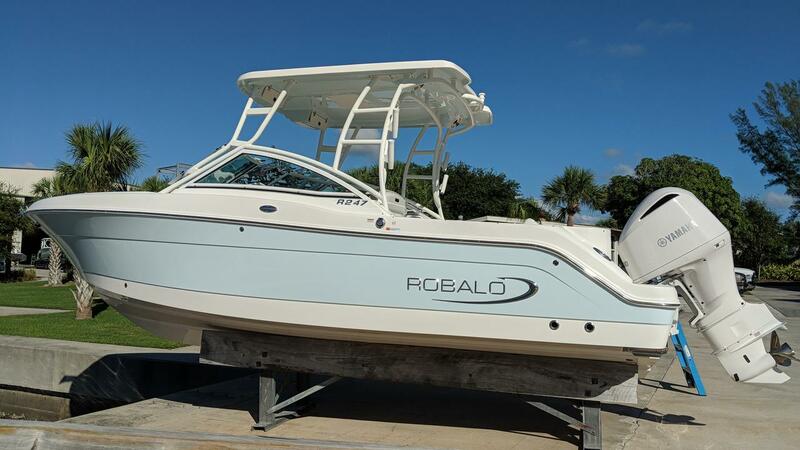 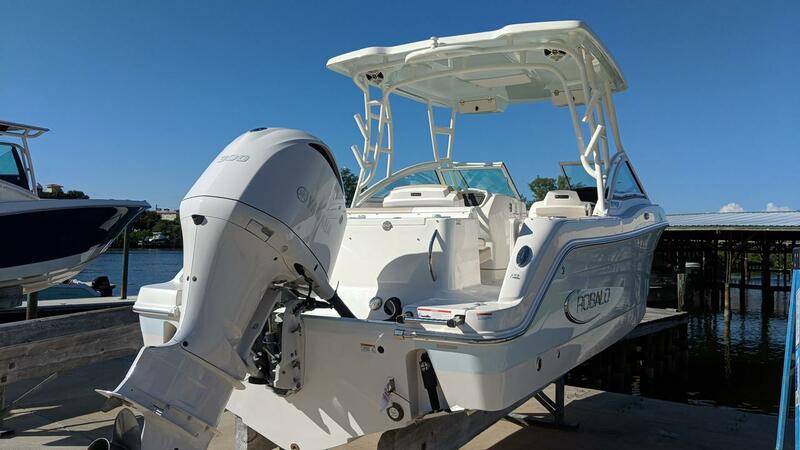 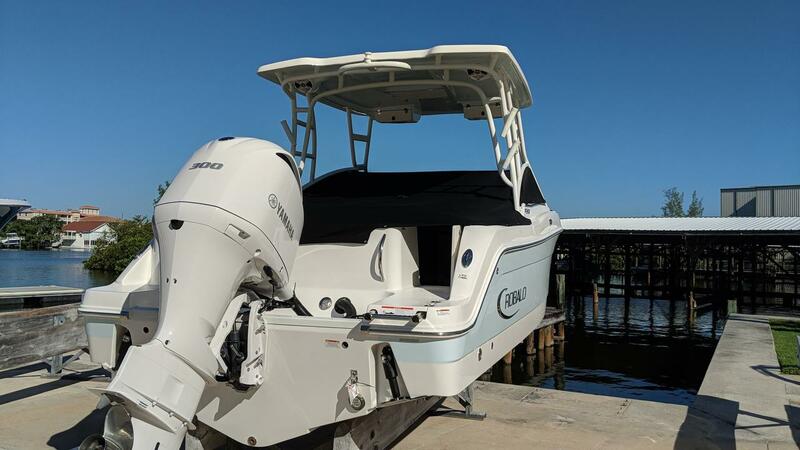 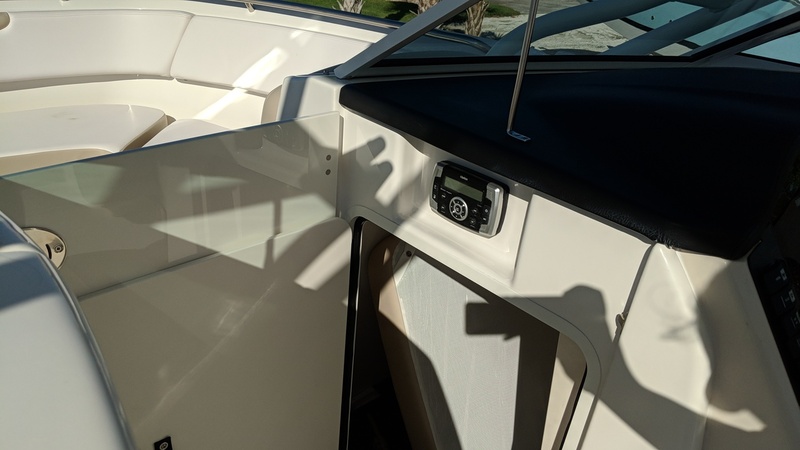 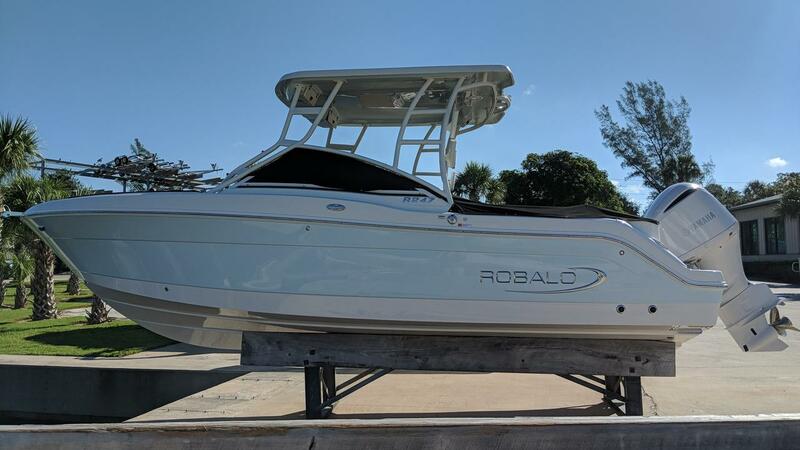 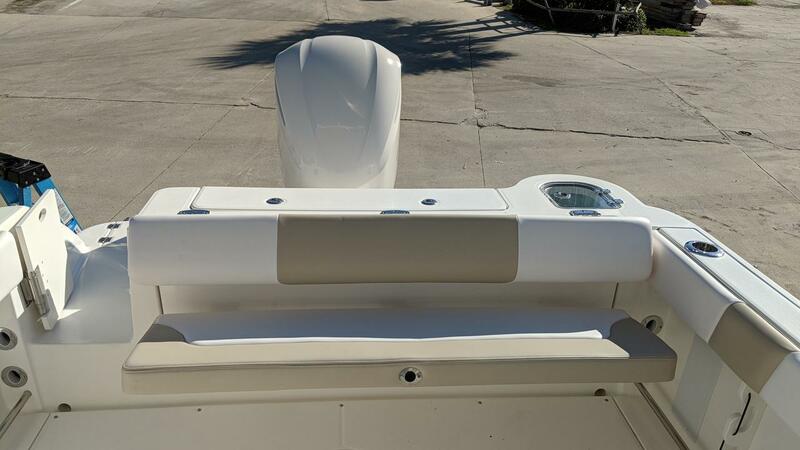 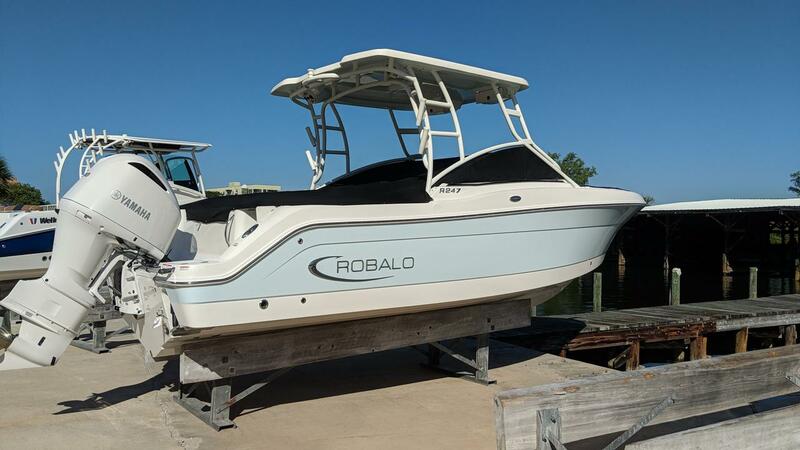 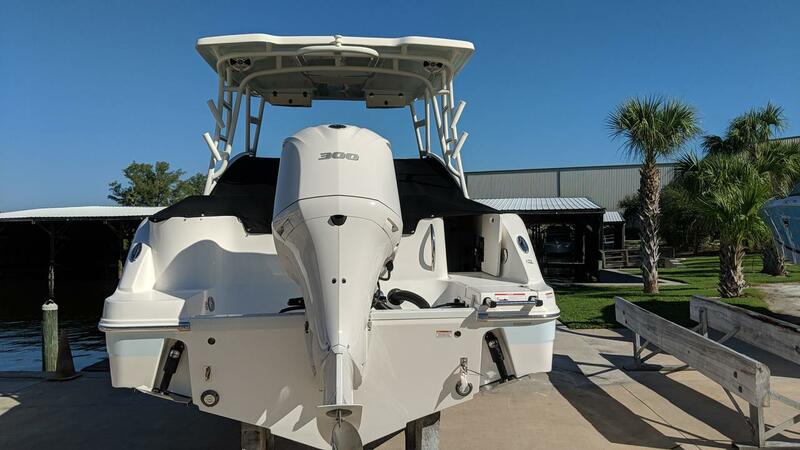 2019 ice blue Robalo 247 Dual Console, powered by Yamaha F300. 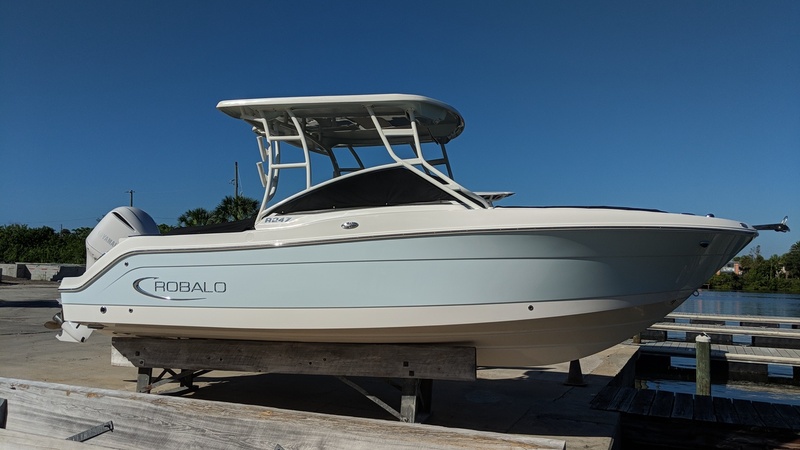 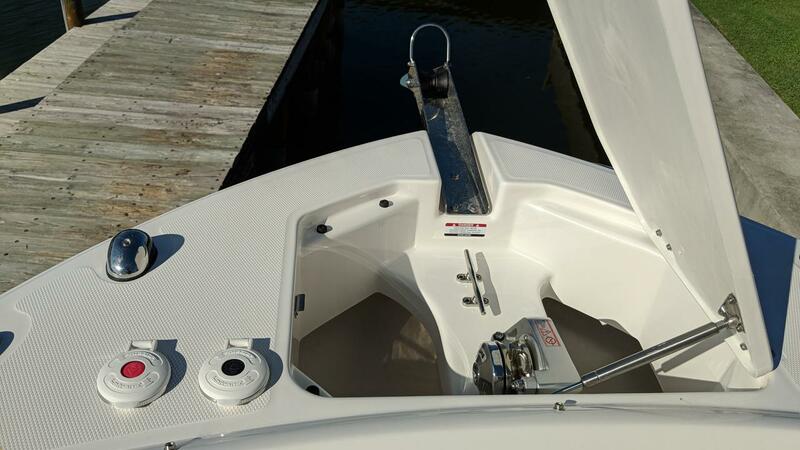 Features include: powdercoated hard top w/ under gel color, power assist steering, SS anchor, anchor windlass, electric head w' overboard, double port seat, pull-up cleats, docking lights, cup/rodholder, entertainment center, underwater lights, bow filler and cushion, starboard helm seat, bow/cockpit cover, ocean sand interior and a white engine. 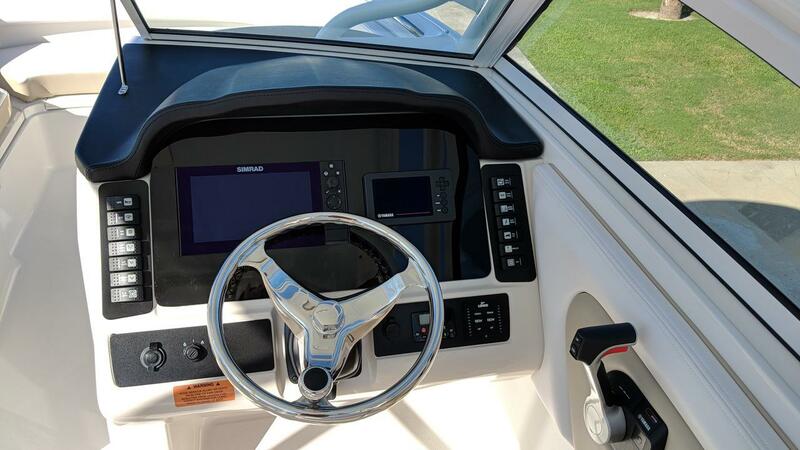 Electronics include: Simrad NSS9 EVO3. 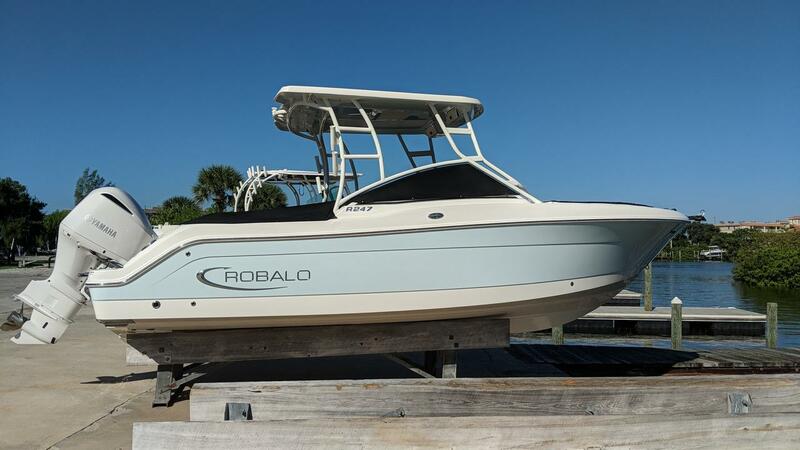 If you want a family sport boat that can operate where stern drive rivals dare not tread and is also a serious fishing machine, Robalo's versatile R247 is in a class by itself. 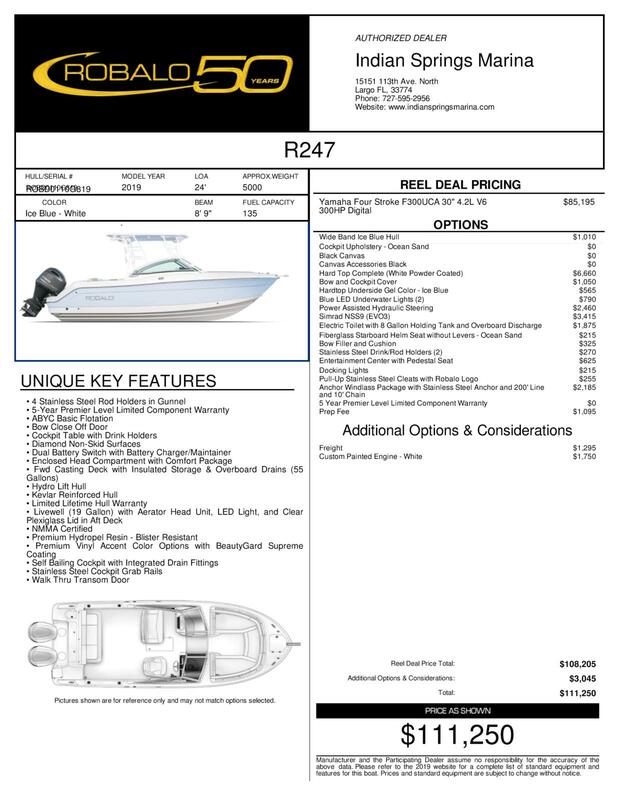 There's so much to like about the R247. 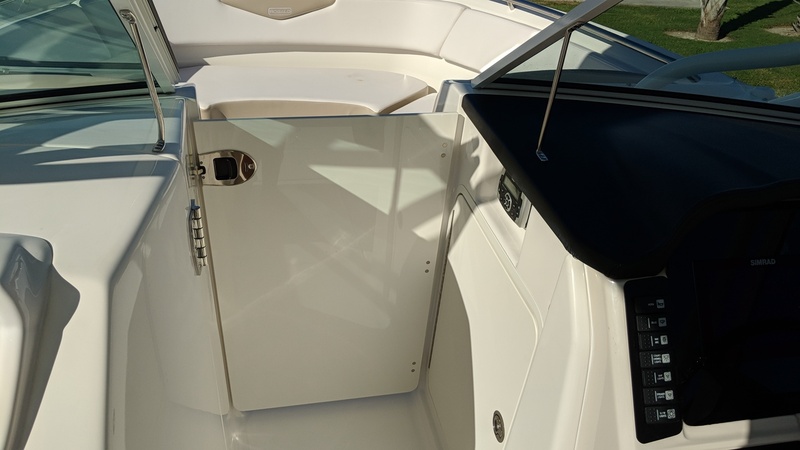 Kevlar reinforcement and stainless steel hardware are a cut above. 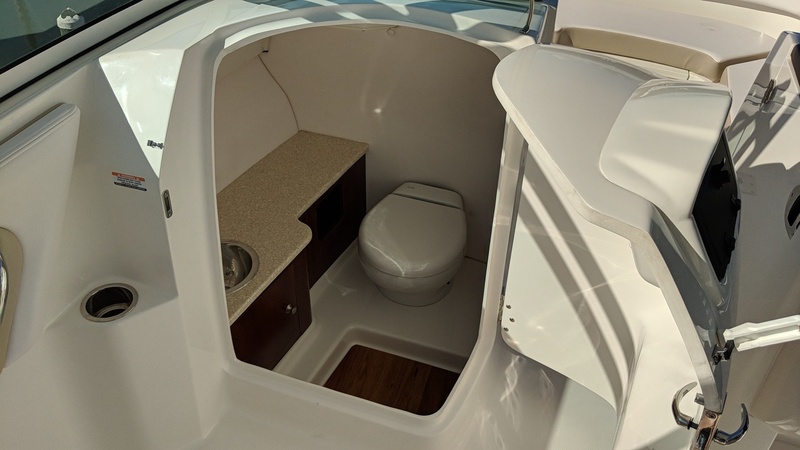 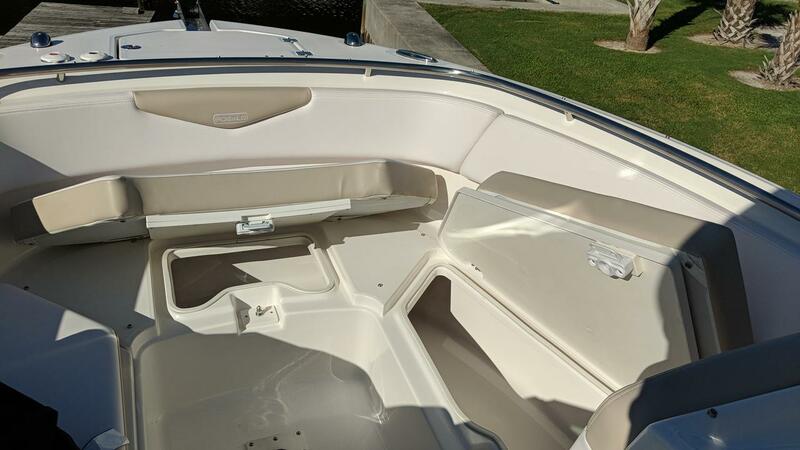 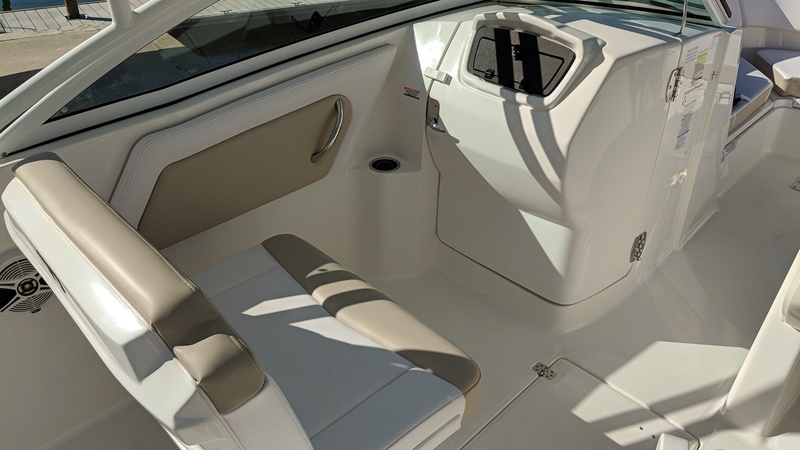 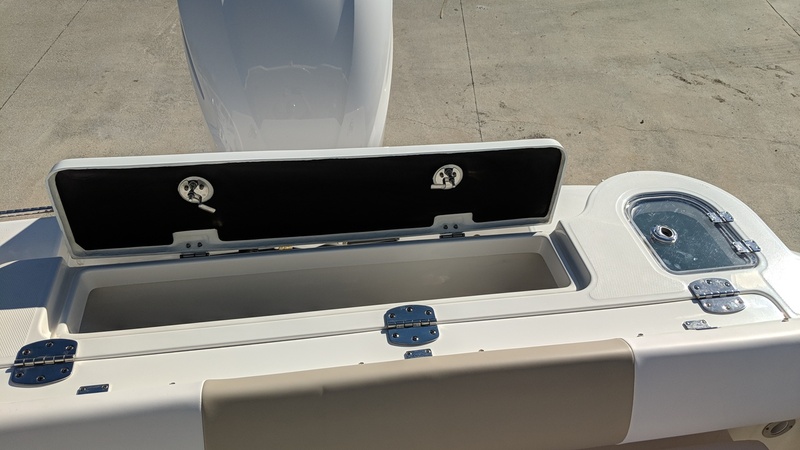 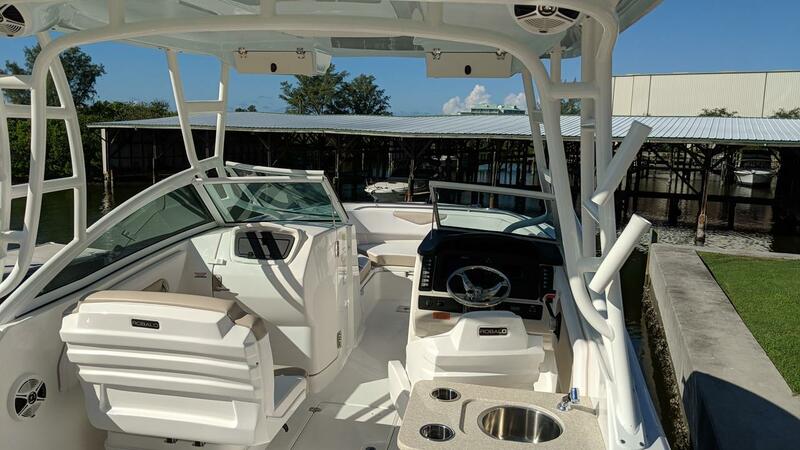 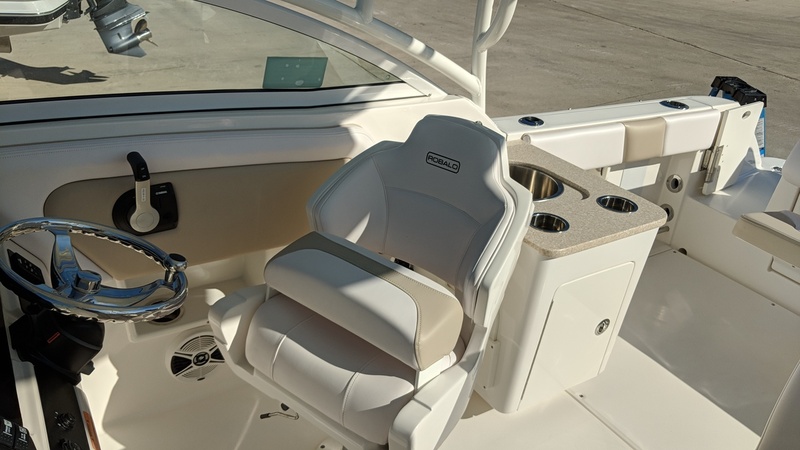 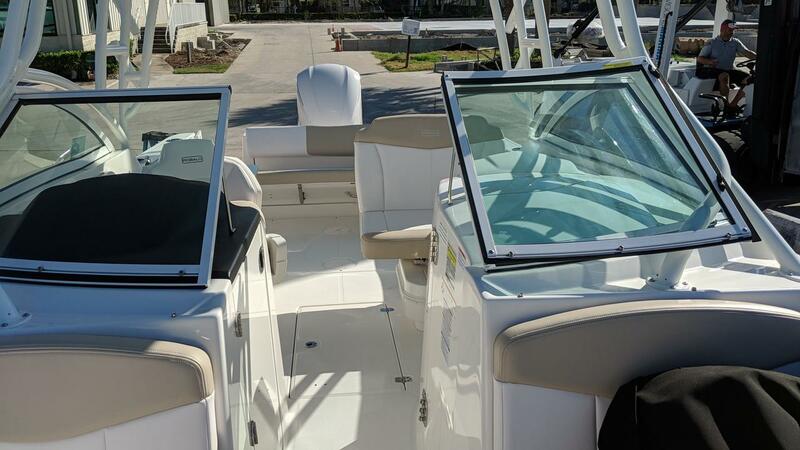 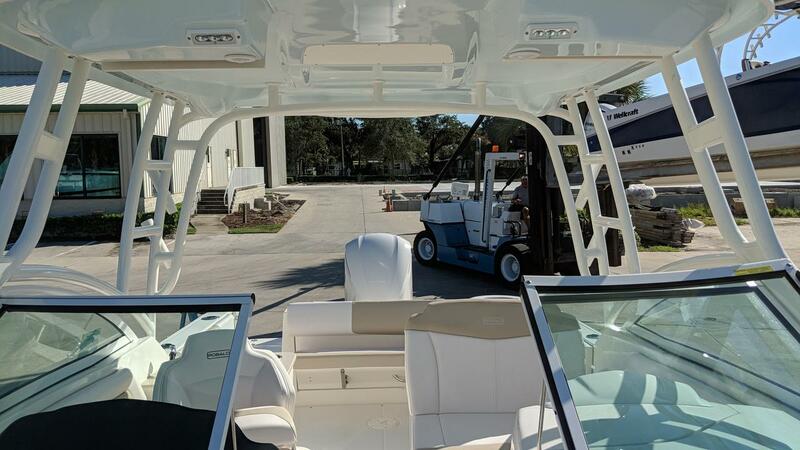 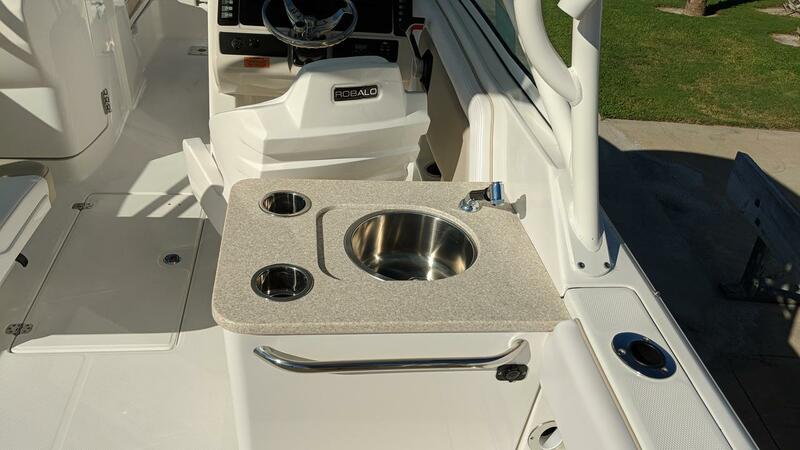 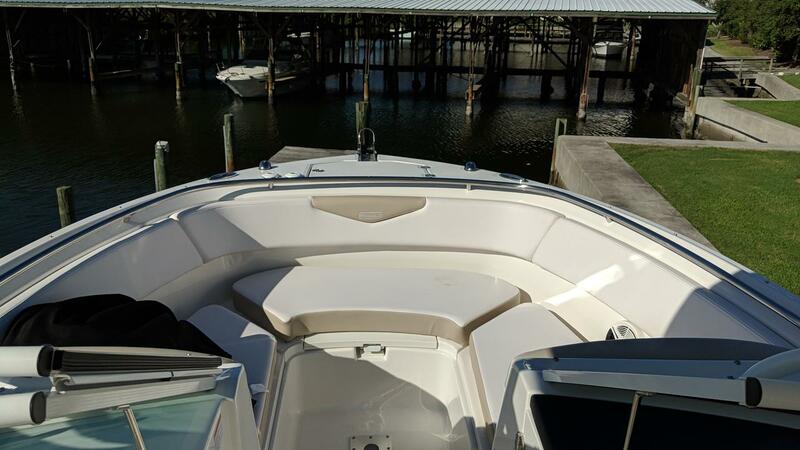 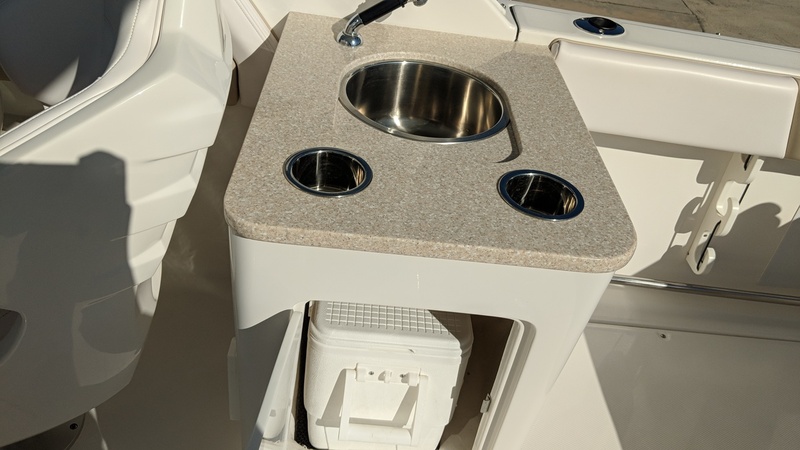 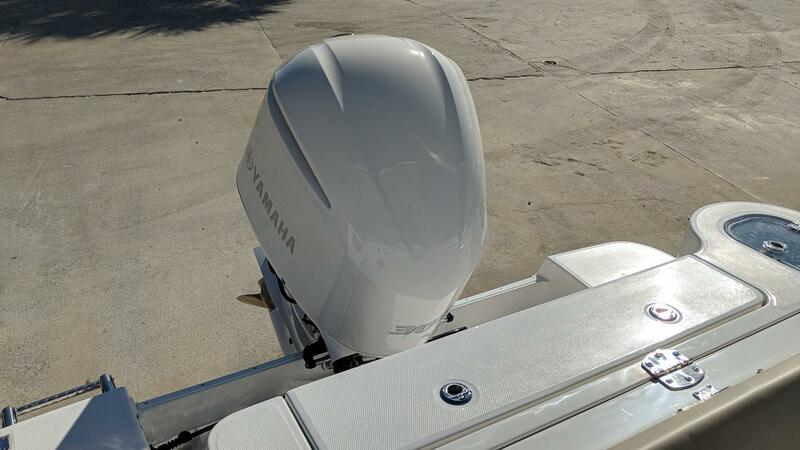 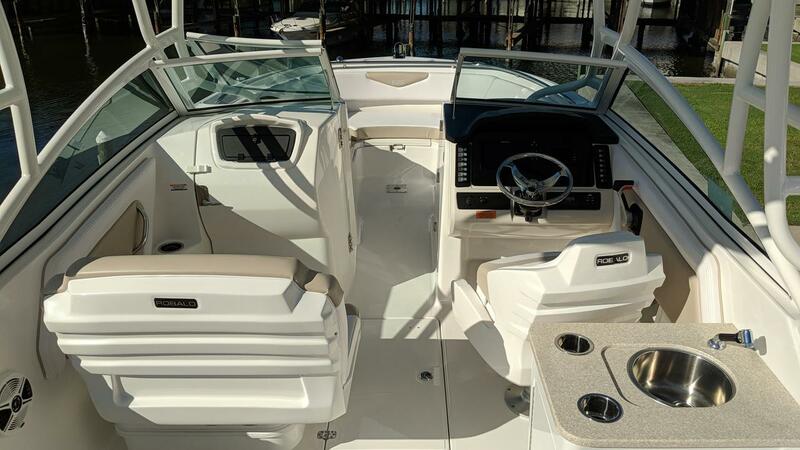 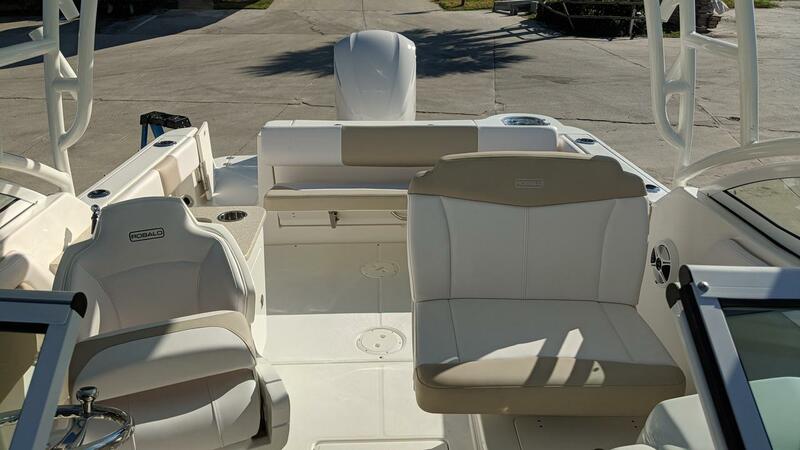 A have-it-your-way options list is accented with an innovative three position portside seat, a clever wet bar, vacuflush head, special electronics and an assortment of custom tops and towers. 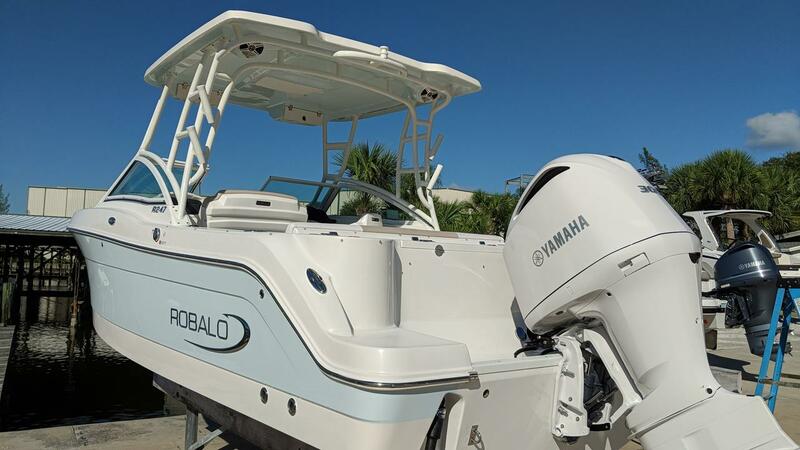 Search all the leading competitors and you won't find a dual console in this size range with more storage. 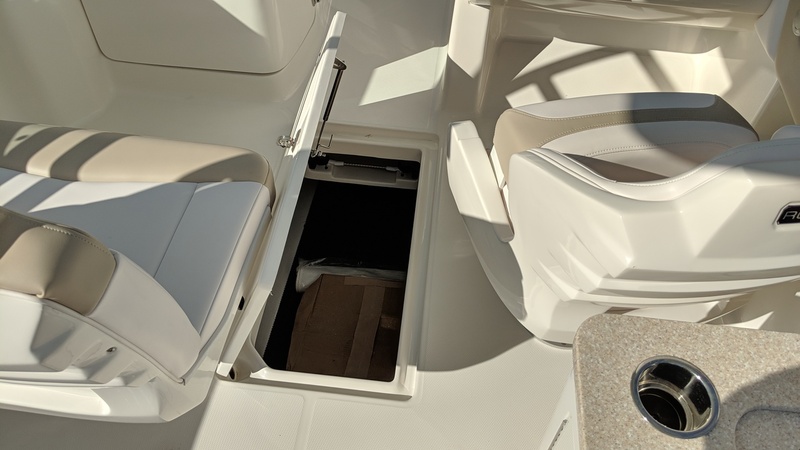 Everywhere you look there's room for cargo...under all the seats, in the starboard console, in the floor and at the bow.